Yesterday Dr. 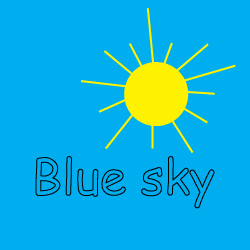 Simple answered the question… Why is the sky blue? 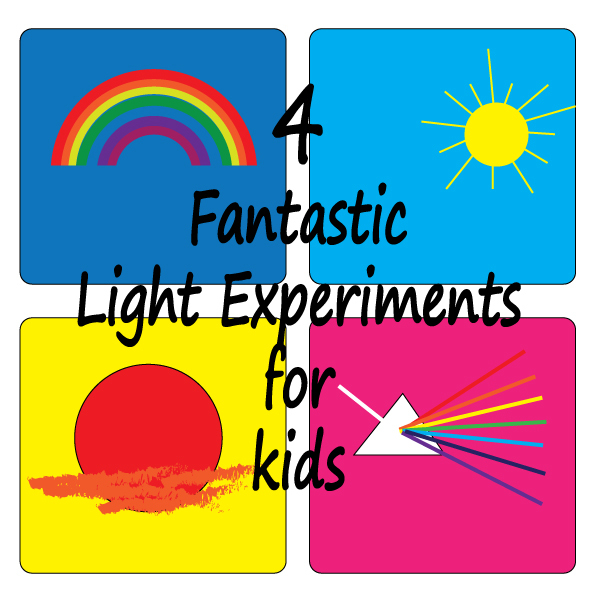 Sometimes it is nice to get the “proof behind the science” so I thought I would share our four favourite light experiments so your children can find out how it works for themselves! A clean glass jar, water, milk, a spoon, a torch and a dark room. Fill the jar two-thirds full with water and add half a tea spoon of milk. Turn on the torch, make sure the room is dark, then shine the torch at the jar of liquid, holding the torch to one side of the jar and look at the colour of the liquid from the front. The milky liquid will appear light blue in colour (move the torch closer to, or farther from the jar if necessary). Tiny particles in the milk act just like the tiny particles in the atmosphere, they scatter light shining upon them. 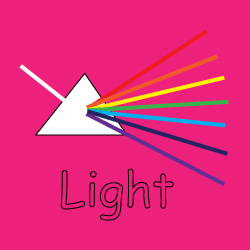 When the light comes from the side of the jar the light of shorter wavelength, like blue light, is scattered the most so this is the colour we observe. This is the same experiment as the previous one, only this time shine the torch at the back of the jar while you observe the colour from the front. Now the milky water should appear red. When we shine the torch from the back of the jar the light is scattered differently. 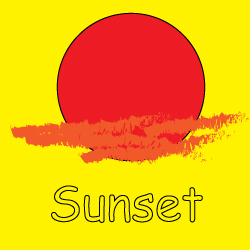 This time most of the blue light has been scattered away from our line of sight so the dominant colour to reach our eye is red light, hence the solution appears red. A plastic container, a piece of white card, a mirror and a sunny day! Fill the plastic container about two- thirds full with water and place it on the ground outside, in direct sunlight. Place a mirror into the water and prop it up at an angle so the sun shines on it. Hold the white card away from the mirror and move it from side to side or back and forth until you capture the rainbow on the card! Water bends (refracts) light that passes through it. Each colour bends a slightly different amount so the colours separate. The separated colours are bounced off the mirror and the image is caught on the piece of white card. If you want a simpler version of this experiment take an old CD out into the sunshine and tilt the side without the label to the Sun. 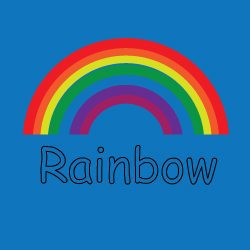 You will see a rainbow of colour appear on the CD at the point where the Sun shines. An empty plastic bottle (one or two litre), a pin or needle, a torch, a sink or basin and a dark room. Place the empty bottle beside the sink and, using the pin, make a small hole in the side of the bottle, about half way up. Place your finger over the hole and fill the bottle with water. Turn on the torch and shine the torch on the bottle, behind the hole. Make sure the side with the hole is positioned towards the sink. Remove your finger and let the water pour into the sink. See how the stream of water lights up. Light bends when in water so when we shine the light from behind the stream of water the light is reflected off the side and bends with it… effective the light is trapped within it.